This month, blow off some steam at the B&O Railroad Museum (901 West Pratt St., Baltimore) as they celebrate the Golden Age of Steam. During October, the museum is hosting several events for adults and kids in honor of the museum's historic steam engine collection. Young witches and wizards are invited to discover the world of wizardry and magic. Bring the kids dressed in their favorite magical costumes and take a ride on a real steam train. The Wizards Express will depart from Platform 2¾ twice that day, at 11:30 a.m. and then at 2 p.m.
Take the little ones out in costume for a Halloween parade through the B&O Roundhouse. Other special Halloween treats include a railroad story, craft-making and the chance to take photos with Choo Choo Blue, the museum's mascot. 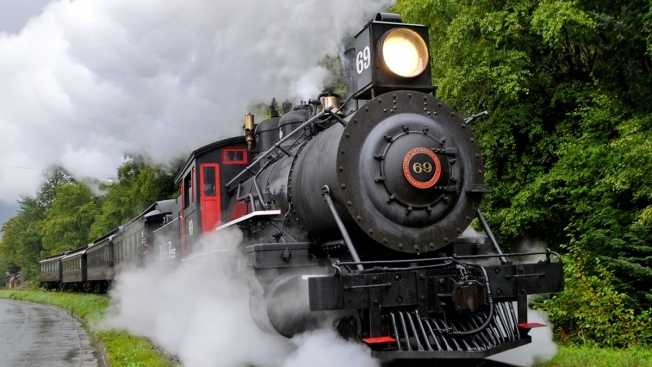 Celebrate the steam engine by taking a ride on an actual steam-powered train. Every Saturday in October, the B&O Railroad Museum is offering rides on its historic steam trains. Meet behind St. Elizabeth's Hospital No. 4 any time between 11:30 a.m. and 2 p.m. for a 20-minute round-trip steam train ride, traveling along America's first commercial mile of railroad. With paid admission, train rides are an additional $3 for adults, $2 for children and free for B&O members. Steam train rides are offered the first weekend in October every hour on the hour and Saturdays throughout the entire month from 11:30 a.m. to 2 p.m. Diesel train rides in October are offered Thursdays and Fridays from 11:30 a.m. and Sundays at 1:00 p.m.